There is a rush on for African farmland – a phenomenon unmatched since colonial times. 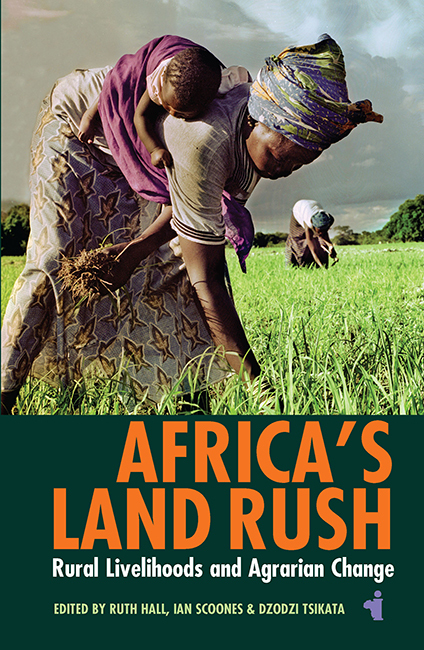 Africa’s land rush, and the implications for rural livelihoods and agrarian change, is the subject of a new book that I have edited together with Ruth Hall (from PLAAS at UWC, South Africa) and Dzodzi Tsikata (ISSER, University of Ghana at Legon). It includes a series of cases from Africa, written by researchers associated with the land theme of the Future Agricultures Consortium, and you can get a taste of the content from the introductory chapter, available here. The book is available from James Currey publishers (and for a 25% discount here). You can also buy it in all good bookshops – and if you must, Amazon. It was launched in Cape Town last week at the Book Lounge. By some estimates, 70% of the land transacted globally in large-scale deals in recent years has been in Africa, often considered the world’s last reserve of unused and under-utilised fertile and irrigable farmland. This is what has lured investors motivated by rising food prices, by growing demand for ‘green’ energy, and by the allure of cheap land and free water. But governments have often allocated to investors land that is occupied, used, or claimed through custom by local people, resulting in disrupted livelihoods and even conflict. The case studies in the book show the striking diversity of such deals: white Zimbabwean farmers in northern Nigeria, Dutch and American joint ventures in Ghana, an Indian agricultural company in Ethiopia’s hinterland, European investors in Kenya’s drylands and a Canadian biofuel company on its coast, South African sugar agribusiness in Tanzania’s southern growth corridor, in Malawi’s ‘Greenbelt’ and in southern Mozambique, and white South African farmers venturing onto former state farms in Congo. In many cases these big international deals were on land that had previously been state farms, and before that colonial estates. In the mainstream narrative of a ‘land grab’, there is little sense of the history of large-scale farming and how this evolved at different moments – and our research shows how recent land deals mimic and even resurrect forms of large-scale farming from the past. A recurring theme in the book is the pivotal role of African governments – as actors and referees – in large-scale land transactions and how this is influencing change in local agrarian systems. States were willing to make major changes to their economic policies, provide preferential terms and often failed to leverage benefits in their attempts to keep investors coming. Contrary to the popular depictions of a rampant neo-colonial push, dispossessing local people while investors cashed in, in fact some investors are having a rather hard time of it. New commercial investments are vulnerable to difficult agroecological conditions, changing market trends and local politics. Local people are certainly carrying many of the costs – most commonly, the loss of grazing land, water and forests – but there are also clear local ‘winners’ from the process. The picture is far more complex than has been portrayed in many mainstream accounts. Many of the book’s case studies document deals that failed. Land was demarcated, people excluded, but in the end investments failed to materialise – or did so only with low levels of production and employment. 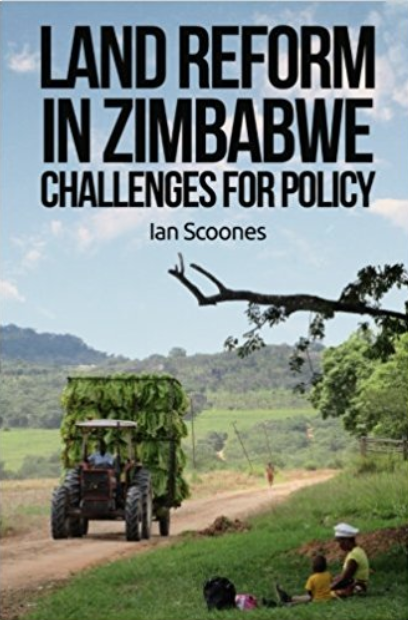 But despite the African countryside being littered with failed agricultural commercialisation projects (as it has been for decades), there are major changes afoot, as land changes hands, and a new politics of access unfolds. Such changes in who holds land, how it is farmed, at what scale, with what technologies, and for what value chains are profoundly reshaping rural societies and economies in ways that will have long-lasting impacts. Will farmers become wage workers or move to cities? Will smallholder production persist – or perhaps even thrive – alongside large-scale investments? Will people be incorporated into commercial ventures as outgrowers, and will this enable them to improve their livelihoods, educate their children, and move out of poverty? While these deals are diverse in their contexts and design, the direction of change is clear: towards commercial production by medium- to large-scale local farmers alongside larger estates, now owned not by colonial powers but by foreign or multinational companies, often in partnership with domestic capital. As with previous moments of enclosure and commercialisation, Africa’s recent land rush is already sparking resistance and counter-movements. Community responses have varied from enthusiastic support to outright hostility and resistance. In some cases, initial support for investment and the promise of development turned to hostility in the face of disappointments. Within communities, certain groups found new opportunities for employment or for enterprises linked to new commercial operations. But across our studies, many were locked out of these new opportunities and we found people resorting to various acts of resistance including theft, destruction and acts of vandalism. Since its peak following 2007-08, Africa’s ‘land rush’ has slowed, as the real implications of investment and production have become more apparent, as opportunity costs in other investment destinations have changed, and as drivers such as spiking food and oil prices have abated, even if temporarily. Today, investors are far more cautious in their prognoses for profits: several ‘bubbles’ have burst, not least the hype surrounding biofuels. However, while the land rush may have slowed, it has not stopped. All indications are that global demand for food, fuel and feedstock will continue to drive demand for fertile land and water into the future. Growing African economies and consumer demand in urban centres compound this effect. As the book shows, the land rush is best seen as one of a number of processes of commercialisation of agriculture, involving financialisation and commodification – not all of which result in the appropriation of land. The story is therefore far more complex than the simplistic caricatures of the ‘land grab’, as either catastrophe or opportunity. While there are both winners and losers in this process, the direction of change is towards large-scale farming linked to global markets. What is certain though is that rural Africa is being transformed in profound ways.